YUBlog is written by students, for students and this article is from a second-year undergraduate student’s point of view and reflects the reality of her university experience. For support and guidance with your own academic planning and degree completion, please connect with your Faculty, department and/or academic advisor. Believe it or not, you can take more than four years to complete your university degree – and that’s totally okay! I decided to plan out my degree, a Professional Writing and French Studies double major, over the course of five years to give myself some extra breathing room along my journey at York University. In today’s #YUBlog post, I’ll be sharing my top three reasons why I decided to break the myth of the four-year degree! Don’t be afraid to give yourself a bit of breathing room in your schedule! Although university is a central part of your life, it shouldn’t be the only thing on your mind. Life is full of plenty of opportunities that you don’t want to miss. This can include meeting new people, travelling and taking time to learn about yourself! It’s also important to remember that, although academics are important, your physical and mental health come first. I decided to plan out my degree over five years to live a balanced life. I also wanted to complete my degree on my own terms, with my own plan and according to my own needs. This meant taking my time learning the course content while maintaining my mental and physical health. By taking 24 credits a year (which is still full-time status), or four courses a term instead of five, I have given myself plenty of room for extracurriculars, a part-time job, a social life and time for myself! Success Tip: Check out our previous #YUBlog post, “Take Charge of Your University Experience,” for a student perspective on how to find a balance in university! It’s important to make time for friends and family! 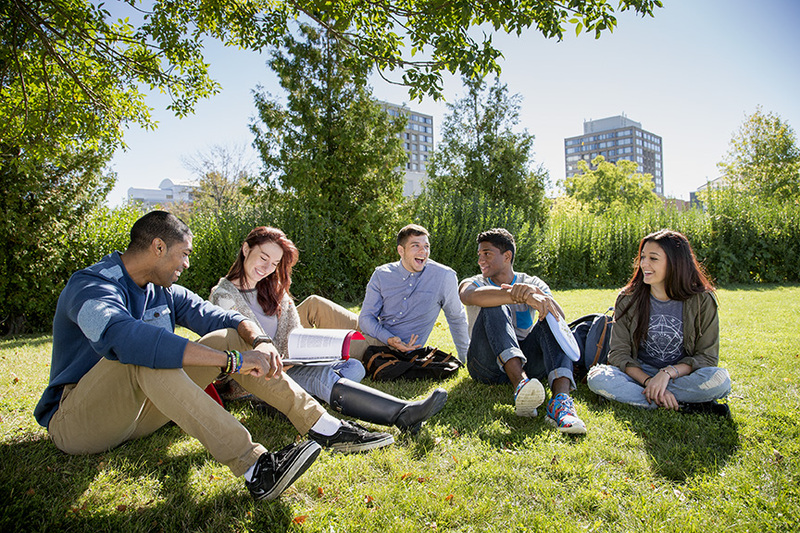 University is the perfect time to learn more about yourself, your career preferences and your hobbies. This can involve anything from taking time to join a new club or sports team, finding a new hobby or getting a new part-time job! For example, when planning out my degree, I decided to give myself room to plan to study abroad. I’d love to go to France one day where I could explore a new city and culture. This would also give me the perfect opportunity to practice my French as a French Studies student! If you’re looking for the inside scoop on the international experience, our previous #YUBlog posts, “Studying Abroad” and “York International: Internships Abroad,” are great places to start! Not to mention, extra room in my schedule leaves space for a part-time job like my Work/Study position as a YU Life Ambassador! If you want to learn more about my experience as a Work/Study student, be sure to check out our previous #YUBlog posts, “#MyCrewYU: The Beginning” and “#MyCrewYU: Getting to Know Our Crew”! Success Tip: New to Toronto? Why not take time to explore Toronto using our #YUBlog post, “All Aboard! A Student Guide for New Torontonians” as your tour guide! Exploring allows you to learn more about yourself. Customizing your degree can include adding a major or minor related to a field that you are interested in or adding a certificate to enhance your degree! During my Humanities general education course, I really discovered my love for history, so I decided to add it to my major. I figured that I’d rather add an extra year to my degree and spend my time at York doing history, something that I love to do. Don’t forget, university is the perfect time to explore your interests and pursue what you’re interested in! Success Tip: Taking general education courses is a great way to explore career options and learn how to customize your degree. Check out our previous #YUBlog post, “York U General Education Courses & Electives,” to learn more! Be sure to visit Academic Advising when making any changes to our degree! Now that I am moving into my third year at York U, I am on track to complete my degree in five years while expanding my personal, social and professional life. From my experience, I can tell you that you don’t need to feel pressured to finish your degree in four years. I encourage you to plan your university journey in a way that works for you! If you have any questions about any of the information in the article, comment below or tweet us at @YorkUStudents!